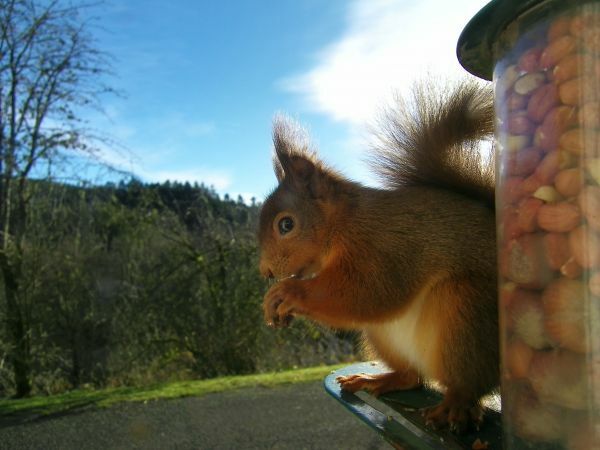 Living Wild at Kielder has been made possible by National Lottery players and a grant from the Heritage Lottery Fund (HLF). It is a partnership project delivered by Kielder Water & Forest Park Development Trust, Northumberland Wildlife Trust, Northumbrian Water, Forestry Commission England and the Environment Agency, with support from Newcastle University and Northumberland National Park Authority. Members, who have appointed directors/trustees to serve on the board, are Northumbrian Water, Forestry Commission, Calvert Trust Kielder, Northumberland County Council, Northumberland National Park Authority and Kielder Observatory Astronomical Society. Affiliate organisations that are not members but have a close working relationship with KWFPDT include Arts Council England, Northumberland Wildlife Trust, Environment Agency, Scout Association and local decision-making bodies such as the parish councils.